There are many online tools I use every single day to manage my social media marketing effectiveness. 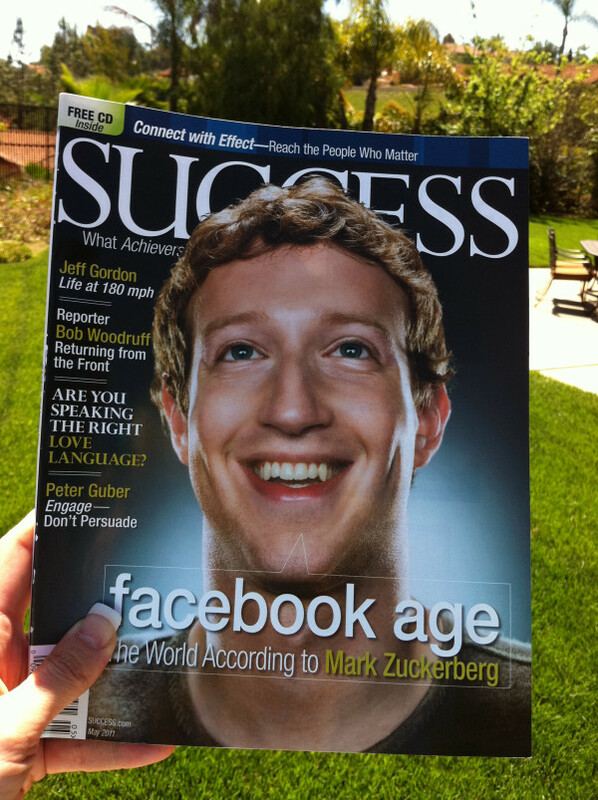 In my recent interview with Darren Hardy for the May 2011 issue of SUCCESS Magazine, I talked about many of these tools. During our interview, Darren asked if I would put together my top ten list of social media resources for readers of SUCCESS. Of course I said yes – here they are! A fantastic free online tool to manage multiple social media profiles, pre-schedule updates for specific days and times, monitor keywords and analyze statistics. Plus, check and reply to saved searches, Twitter Lists, @ mentions, Direct Mentions and more. Also available as a mobile app which provides an excellent way to pre-schedule your social updates on the fly. Paid version also available with additional features. (See TweetDeck.com as an alternative tool to try that is equally as popular). The top link shortening service, ideal for Twitter but just as useful for Facebook and even email marketing to track clicks. Copy your long link and paste into your bit.ly account. Easily make custom links and track how many clicks you get. 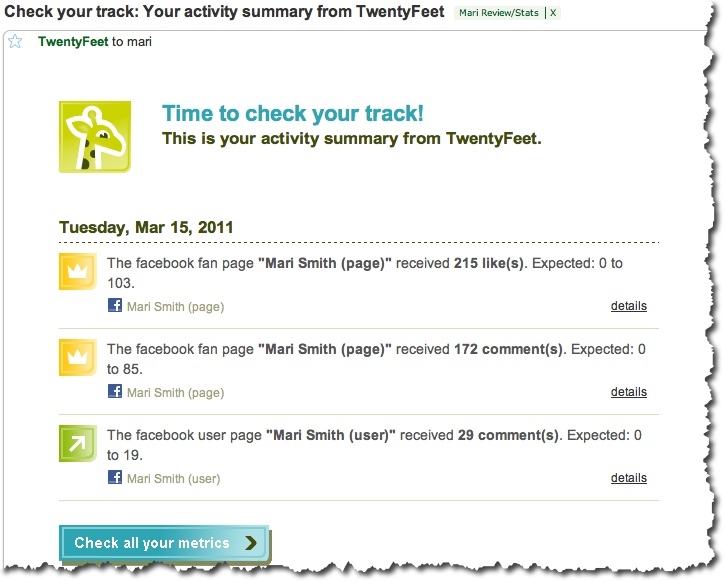 For example, this is a link to one of my most popular blog posts with a directory of Facebook contact forms: http://bit.ly/FBforms. Check the raw link and stats for any bit.ly link by simply adding a “+” sign at the end, whether it’s your bit.ly link or someone else’s. 🙂 Plus, be sure to add the bit.ly sidebar to easily shorten and tweet any weblink. Another cool feature is the little popup notification of “trending bits” when one of your bit.ly links receives a number of clicks in a short time. Easily build your own source of curated content by making a list of Twitter users in a certain field of expertise. Twitter allows up to 20 lists per account with up to 500 names in each list. Lists can be public or private. Anyone can follow a public list. (See Twitter List instructions here). Adding a small piece of code to your website and/or installing the Facebook Like Button WordPress plugin allows visitors to your website and blog to share your content with all their Facebook friends. You can change the verb from “like” to “recommend” – great for placing on the top right of an entire website. Also, include the Like Button on all opt-in pages and sales pages for extra viral visibility. I love the Facebook Like button for social proof and for quickly and easily sharing content with my Facebook friends. However, I must say since the Like Button changed from a one-line story to a full-on story with randomly chosen thumbnail and a description, I’ve actually been clicking on it less often. 🙁 I liked the one-line as I could click several links in a row and it wouldn’t clog up the feed of my friends. If you’d like to test the like button, click the recommend button below for my blog – then go check your Facebook profile wall to see what was posted! This is the Twitter equivalent to the Facebook Like Button. Add it to your blog, website, sales pages and anywhere you want to make it easy for your visitors to share your content with their Twitter followers. I love to use the TweetMeme button myself whenever I find great content on the web to share with my Twitter followers – the button is typically already formatted with a short link and the author’s Twitter ID. You’ll see the TweetMeme button at the top and bottom of this post – that’s the WordPress TweetMeme plugin. (In addition to the Facebook Like Button and TweetMeme Button, be sure to also add the LinkedIn Share button to your website, blog, opt-in pages and sales pages). Twellow is the Yellow Pages of Twitter with tens of millions of accounts listed. Set up a free account, then find and follow targeted people by searching for keywords users have in their bio. Browse categories and also drill down to cities around the world to find top users in a specific location (see “Twellowhood” tab). Twellow is a great tool for building your Twitter following. Be sure to add your keyword-rich extended bio as the search feature also crawls this field! (As an alternative, more automated tool to try instead/as well, see TweetAdder.com). Easily manage your Twitter following, unfollow inactive accounts, find out who isn’t following you back and more. There are many ways to sort including by profiles with no images, inactive, no bio and more. Free and paid versions available. This is such a fun tool to use and very effective. I haven’t found anything like it out there. (As an alternative, check out the popular tool SocialOomph.com. I use SocialOomph every day to auto follow those who follow me; then 1-2 times a week, I filter and clean up the following using Manage Flitter). Mobile App for Twitter – I’ve tried many, many mobile apps to manage Twitter on my iPhone and keep coming back to Echofon. The app offers a variety of great features and is always synched with your online Twitter activity. 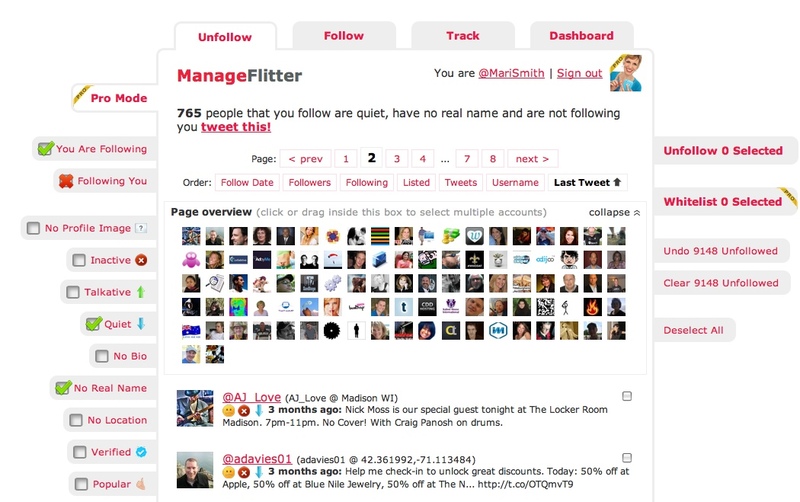 Check and reply to saved searches, Twitter Lists, trending topics, @ mentions, Direct Mentions and more. A wonderful, user-friendly addition to any blog, Disqus allows users to have their own portable profile for commenting. Comments can easily be shared with their Facebook friends and Twitter followers. Visitors to your blog can simply post a comment using their Facebook or Twitter account with one-click instead if they don’t have a Disqus login. Try out the Disqus commenting system on my blog here – scroll down and leave me a comment! I trust you found some nifty new tools here! Let me know what your favorites are – feel free to list them below in the comments. It seems every day there are more and more new tools available to assist in making our social media and online marketing more effective. Do you tend to stick with the more established platforms and tools? Or are you always on the hunt for the holy grail of social media tools that does everything under the sun? 😉 Let me know in the comments below.